Build up your home healthcare toolkit with Wendi Combes! She’s here to share her wisdom on homeopathy, cell salts, supplements, essential oils and more. 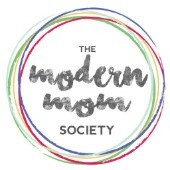 Wendi’s free gift is a mini-course: Natural Remedies for Moms, which gives you the basics of natural remedies which includes homeopathy, call salts, herbs, essential oils, and marine plasma. Take this class and you will be on the path to helping your family feel better naturally! Get Wendi's Free Gift Here!